A scrumptious, easy-to-cook dish that's perfect for this CNY! A fulfilling CNY meal made from a fusion of flavours. 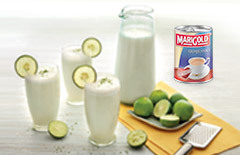 A zesty and flavourful beverage that’s simple to make and satisfying to drink. Milk has always been touted as a nutritious drink. It’s what we feed to babies, and what children grow up drinking. But why? That’s because milk is rich in calcium. Calcium is important in the formation of healthy and strong bones – bones that make up the structure of our body, keeping us standing tall. Despite the importance of calcium, our bodies do not naturally produce it. We also lose bone density as we age. Thus, supplementing our diet with calcium is vital in ensuring we live a healthy life, free from easily preventable diseases such as osteoporosis – a condition in which the bones become extremely porous. 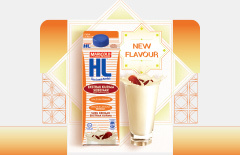 MARIGOLD UHT Milk is fortified with a unique “Bone Plus” formula and MARIGOLD HL Low Fat Milk is fortified with Vitamin D for better calcium absorption. Live a healthier, more fulfilling life with MARIGOLD! 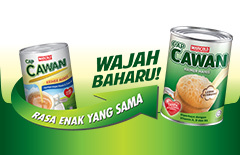 Since its incorporation in 1969, Malaysia Milk Sdn Bhd has provided Malaysians with quality dairy products and beverages. Today, we manufacture a wide range of products at our facilities in Petaling Jaya, including MARIGOLD HL Low Fat Milk, MARIGOLD PEEL FRESH and VITAGEN.